Kentucky has just reported that over 60,000 of its residents have enrolled in it’s health care marketplace and is now one of the most successful states to roll out the Affordable Care Act. Kentucky has very high rates of smoking, cancer deaths and heart attacks and is one of the nation’s sickest and poorest states. 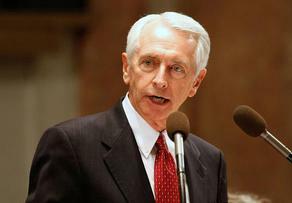 Kentucky’s governor Steve Beshear said “You cannot afford not to do this,” after independent analysts predicted the Affordable Care Act would inject more than $15 billion into Kentucky’s economy over the next eight years, create about 17,000 new jobs and produce about $800 million in state revenue. Nearly 640,000, or 1 in 6, lack healthcare insurance and by embracing the Affordable Care Act, Medicare expansion and the new jolt of federal funding, it can help transform the state. And another 48,000 have enrolled in Medicare and 12,000 have enrolled in private health insurance, including an impressive 41% who are young adults – under 35 yrs old. One advantage to having a website that works is more appeal to younger people.